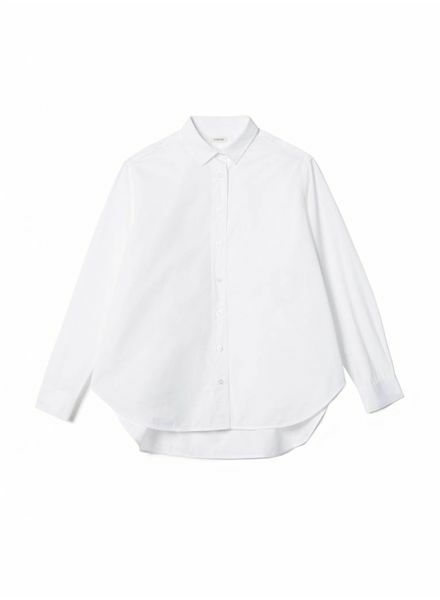 Totême essential white blouse crafted from cotton-poplin and cut in a loose fit. 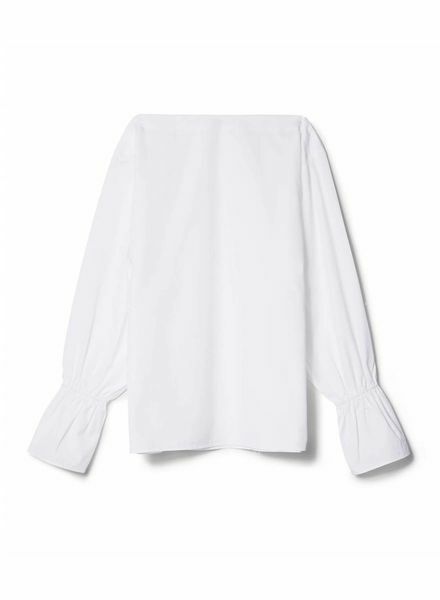 Light cotton blouse with elastic details around the sleeves. Feminine shape. Tailored body for a beautiful contrast with the sleeves. A must-have for your closet. 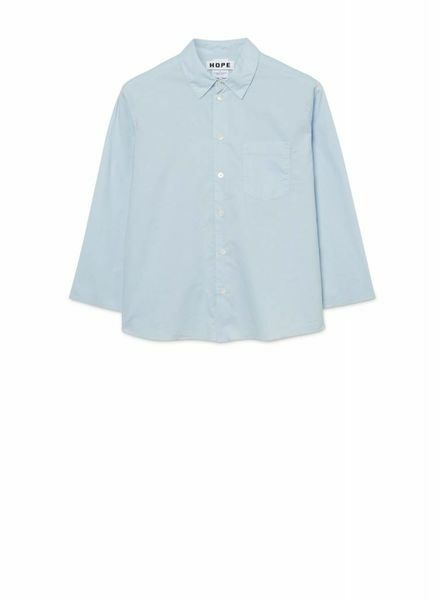 This season, the basic MAISON KITSUNE shirt has been redesigned with the utmost in femininity. 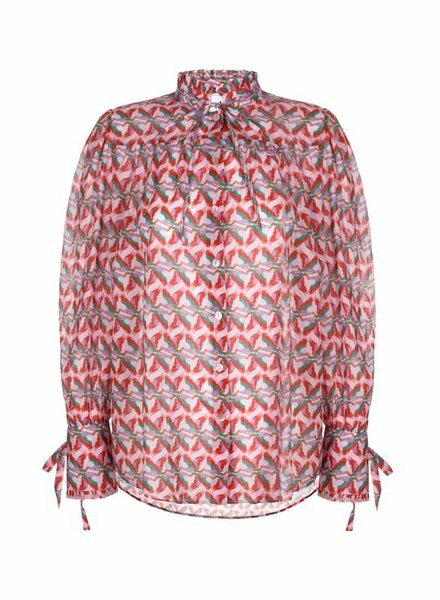 An all-time favorite Rodebjer silhouette in pure silk chiffon patterned with the original lip print of the season, the Xilla Lips blouse features decorative flounces and delicate collar strings that enables versatile styling opportunities. 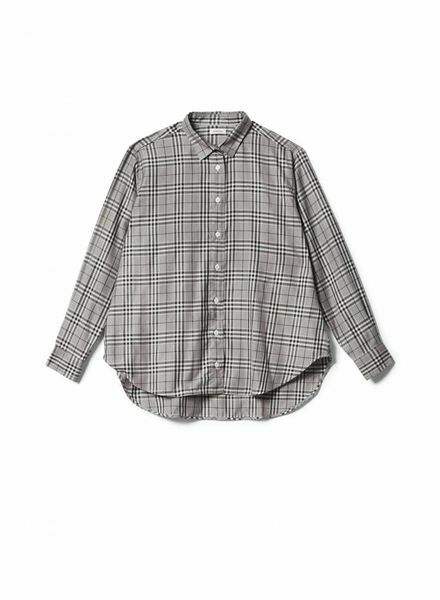 Our classic, the Capri shirt, in a grey and black checked print. 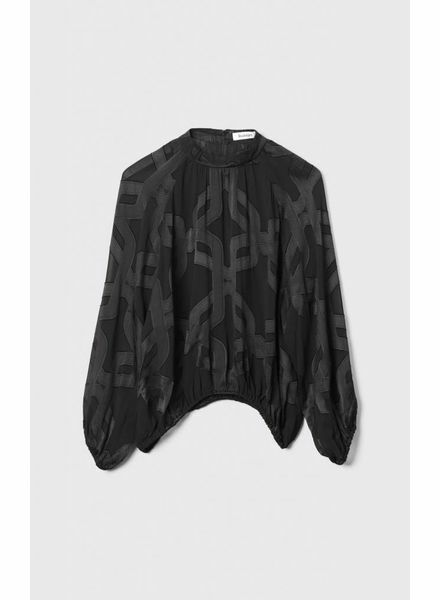 Zand Shirt is a small utility-inspired shirt. 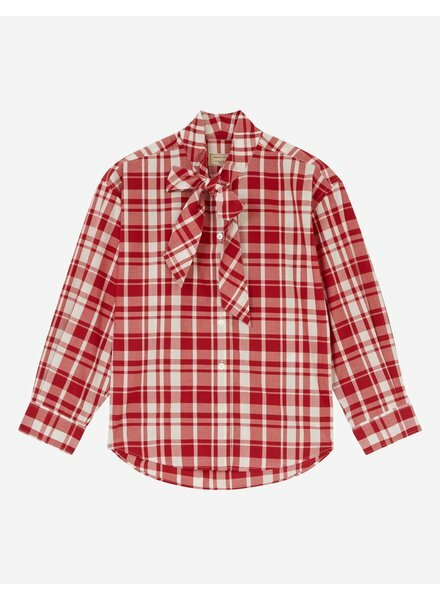 Icon Shirt is a versatile go-to piece, easy to wear and style. 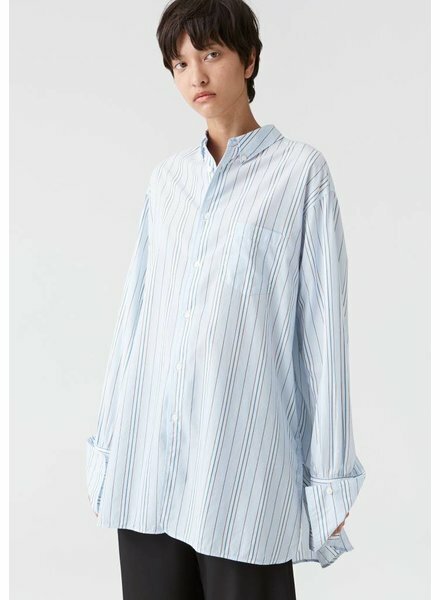 Cotton shirt in blue stripe print with long cuffs. Visible buttons throughout the front. Rounded neck and curved hemline. 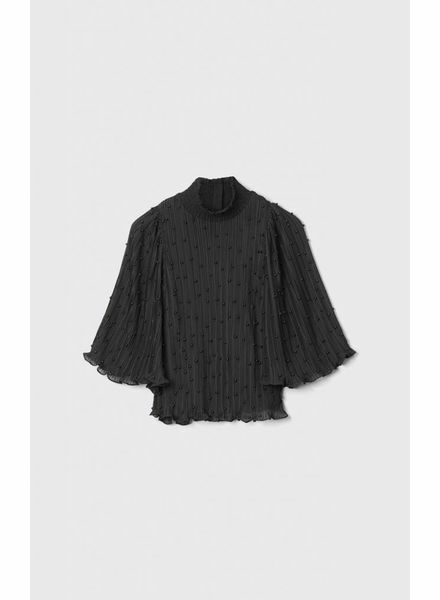 The Rodebjer Fino blouse is cut to a loose fit with wide bell sleeves and a comfortable ruffle turtleneck. 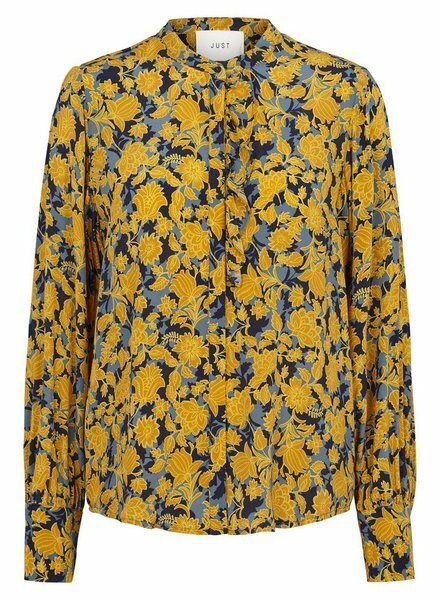 Soft silk shirt in pyjamas-style in brown print. 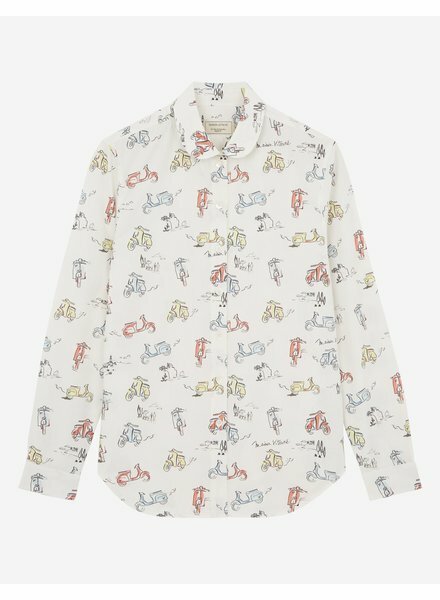 Coast Shirt is your new everyday favorite. 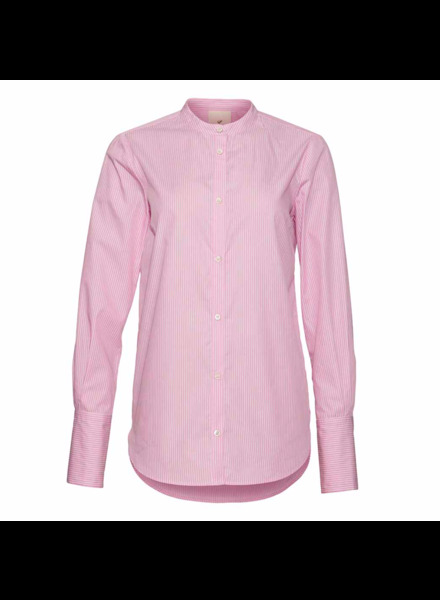 A long-sleeved shirt with traditional details such as chest pocket but split at both front and sides. 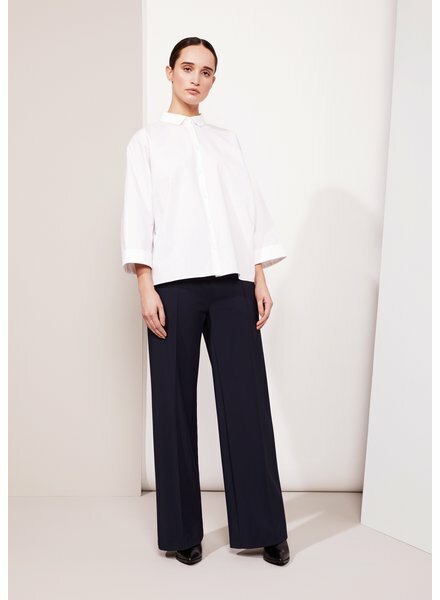 Wide fitted blouse with tapered kimono sleeves and a classic collar. 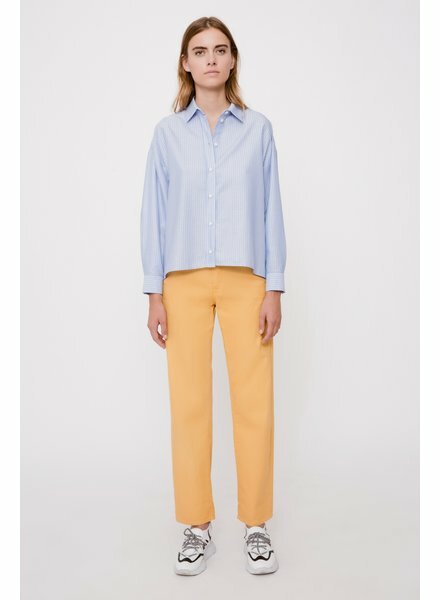 The sleeve ends are rolled up for a casual look. 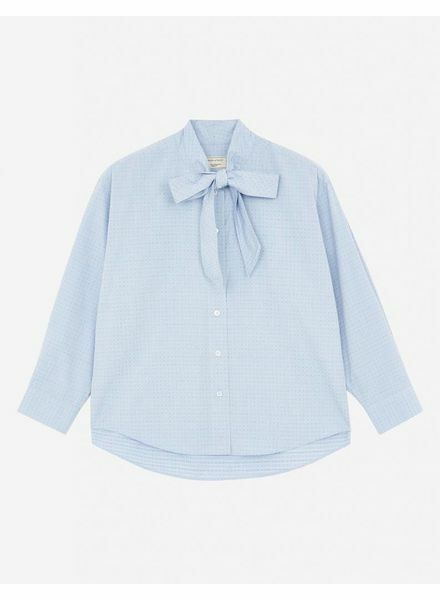 The blouse has small splits on both side seams and the back of the blouse is slightly longer and rounder. 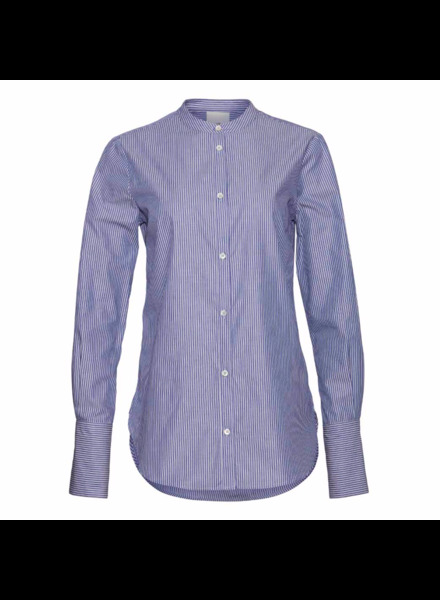 Vibe Shirt is a perfect combination of two of our favourite styles: Brave and Coast Shirt. 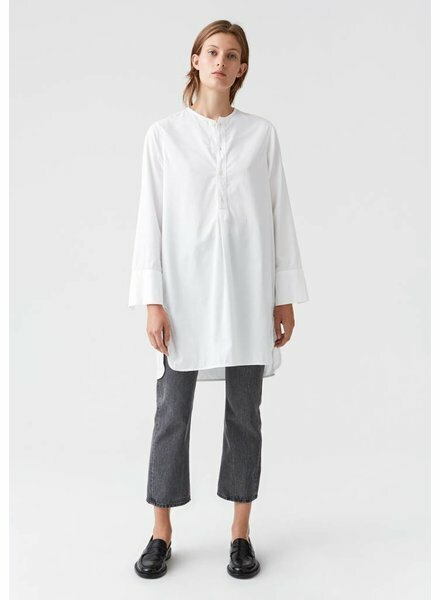 Crafted in breezy Japanese cotton, with signature sleeves and an oversized yoke. 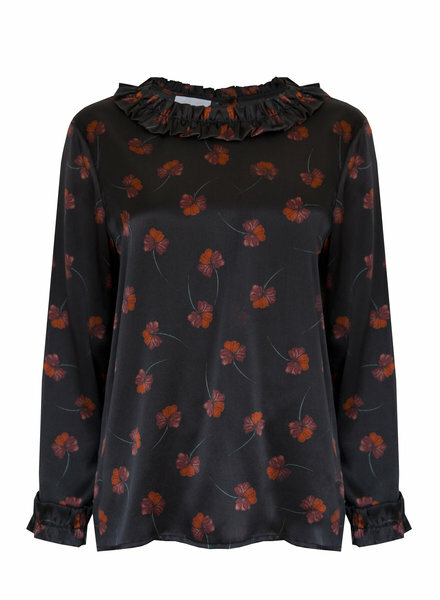 The Rodebjer Amoda blouse has a relaxed fit with slouchy fitted sleeves and is cut in a sheer jacquard fabric. 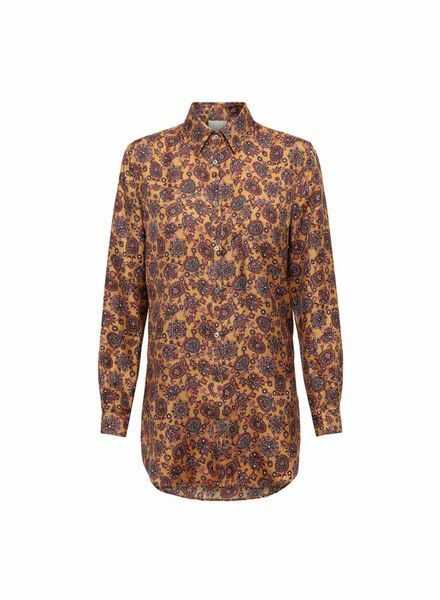 Silk shirt in brown print with line of buttons over the back. 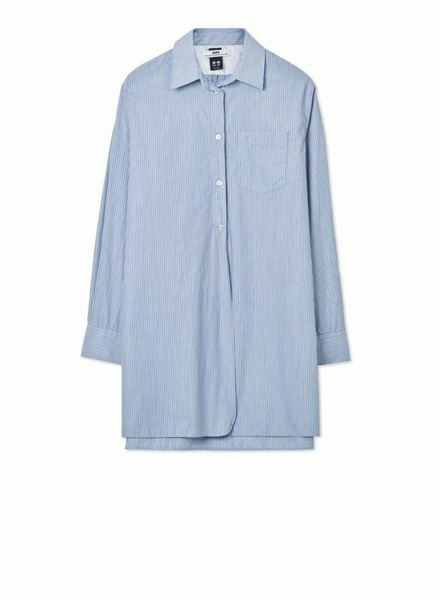 Dusk Shirt is an essential two-in-one piece, working both on itself as a dress or under your favourite blazer. 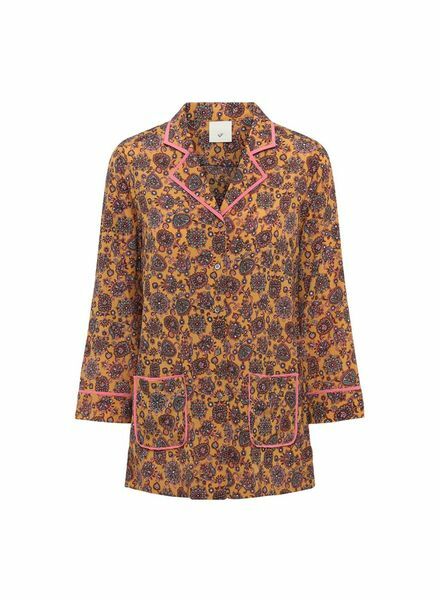 Crafted in a soft cotton satin, featuring a binding at the neck and a button placket at the front with real MOP buttons.